Louise P: But I like Batman. Didn’t you get that picture I sent of the Joker? I was supposed to send you another email after that but then I forgot. Cos you didn’t like Batman* and I was going to say something about that. How could you not like it? I’ve seen it four times. I love it! I had the DVD right away when it came out. I saw it three times in the theatre. I’ve never seen a movie three times in the theatre. I don’t think I’ve ever seen a movie twice in the theatre. [Pause] You know why I liked it. Louise: [obvious tone] Yeah. I LOVE him! And ’til he died I didn’t even know who he was. I never even knew what he looked like. I knew nothing about him, now I can’t believe it. SC: Have you gone back to watch Brokeback Mountain? Louise: No I won’t watch that. It’s too sad. 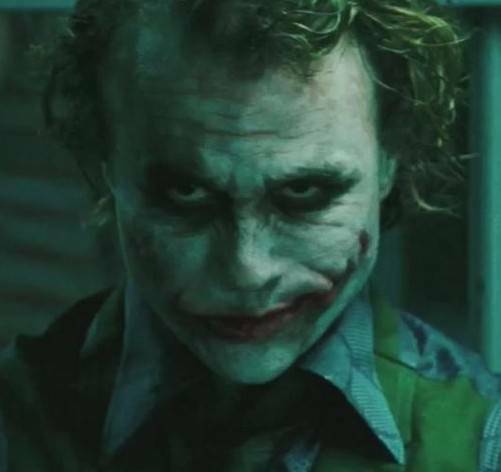 I just watch the Joker. I just want to see the Joker. I love the Joker. I wanted the Joker to kill Batman. I just wait for his parts. They’re so amazing. All the subtle things he says. You only get it… the first time… but if you watch it a few more times you’ll catch even more and more subtleties. His little funny things. He says a lot. A LOT. Phhhht. I’m in his [Ledger’s] fan club. Louise: Well, on Facebook. I bought the Joker calendar. *I didn’t like The Dark Knight, it’s true. 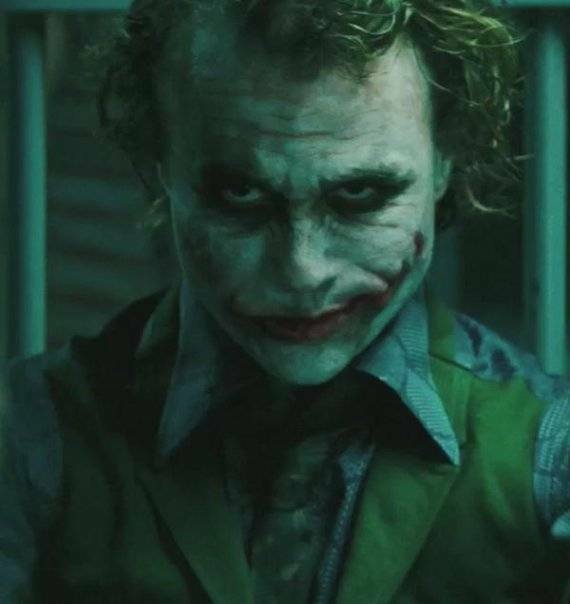 This entry was posted in Louise explains it all, Movies and TV, Opinion and tagged comic books, Heath Ledger, Louise Papais, movie reviews, The Dark Knight. Bookmark the permalink.